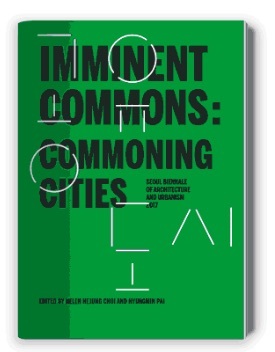 Multi-disciplinary project presented within the exhibition “Commoning Cities” of the Seoul Biennale of Architecture and Urbanism, at the Dongdaemun Design Plaza (DDP), designed by architect Zaha Hadid. Project curated by Melina Nicolaides, ACTIVATE, and produced in collaboration with the MENA Regional Center of the Future Earth Organization (FEMRC) and The Cyprus Institute’s Environment, Energy and Water Research Center (EEWRC). Partners of the FEMRC included regional institutions in ten cities: Alexandria, Amman, Athens, Beirut, Kuwait City, Muscat, Nicosia, Rabat, Tangier, Tunis, Tehran. 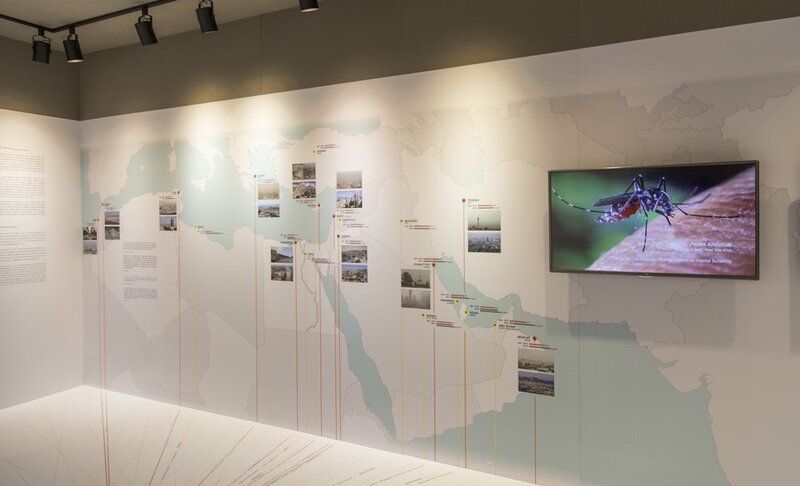 The intention of this collaborative initiative was to identify basic commonalities within the environmental challenges - including the multiple impacts of climate change - faced by people living in the urban centers in the region of the Eastern Mediterranean, Middle East & North Africa. In cities from Rabat, Morocco to Muscat, Oman, residents are dealing with frequent and life-threatening heatwaves, dwindling water supplies, and air-borne dust. In the project, each participating city was represented by comparative scientific data from numerical climate models for temperature and rainfall, plus air quality values, which help illustrate the growing pressures on these urban centers. 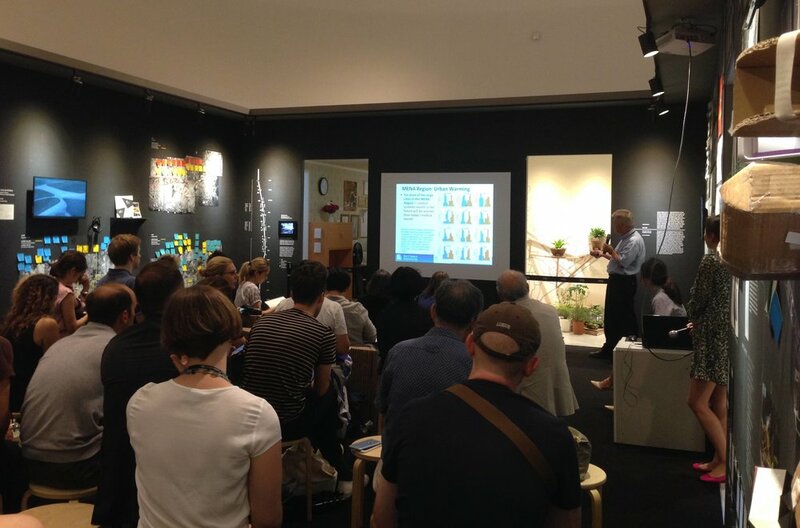 The ongoing objective is to illustrate the need for a path towards creating an integrated regional adaptation strategy for cities of the future. 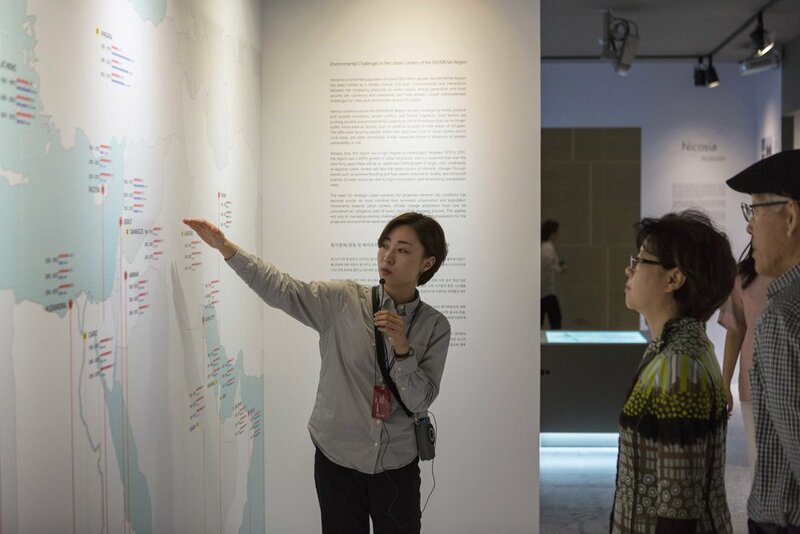 Data on the floor of the gallery space compared the population and population density of each of the cities in the exhibit. Cairo is home to over 7 million people, with nearly 15 inhabitants per square km. Beirut, by contrast, has a population of roughly 2 million but is much denser, supporting almost 23 inhabitants per square km. The wall map on the left showed average temperature and average rainfall values (measured in mm) for the months of June - July - August for various cities of this region. This comparative data was derived from numerical climate models, and compared past, present and future values for the time periods 1950-1970 | 2000-2020 | 2050-2070. The map on the right side (with photos of cities) showed maximum temperature values for the months of June - July - August for various cities of this region. These were derived from numerical climate models, and compared past, present and future values for the time periods 1950-1970 | 2000-2020 | 2050-2070. Also shown (brown dots) are concentrations of particulate matter (PM2.5). Particulates are solid or fluid matter in the atmosphere, known to be harmful to human health. The amounts shown (μm/m3), represent average values for the year 2015 in various countries of this region. Amounts over 25μm/m3 are considered hazardous by the EU and WHO. Dr. Salah A. Soliman of the Bibliotheca Alexandrina, discusses the environmental challenges facing the coastal city of Alexandria, Egypt. Dr. Manfred A. Lange for the Future Earth MENA Regional Center, and Dr. Salah A. Soliman for the Bibliotheca Alexandrina (Future Earth Regional Office for N. Africa) spoke at the "Commoning Cities" Roundtable Talk. 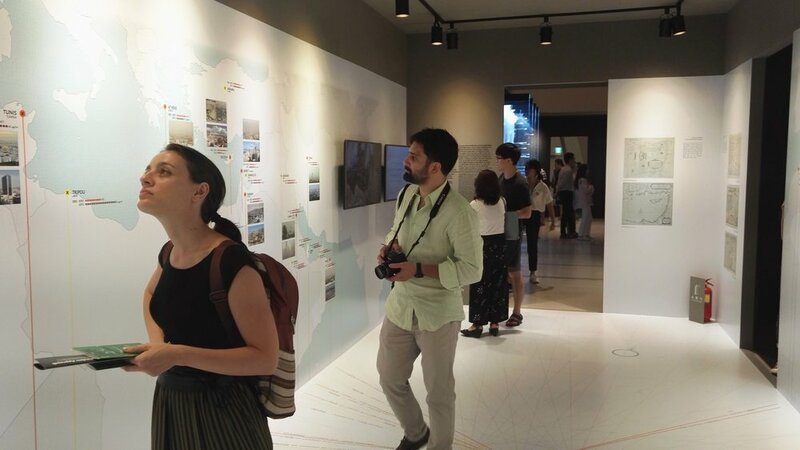 The audience of the Seoul Biennale | This project - produced from images and data compiled from around the region - aimed to visually communicate the main environmental challenges facing urban centers, many of which are already grappling with the effects of climate change. 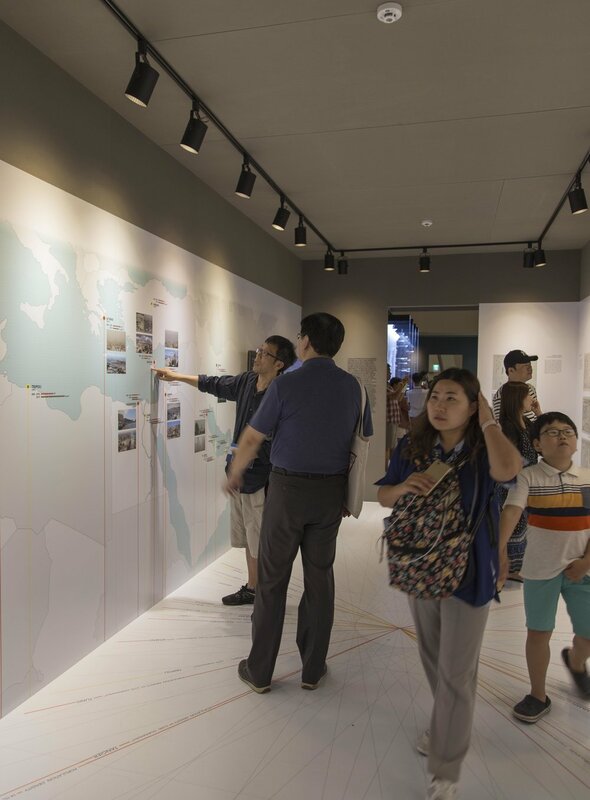 The exhibit was designed to allow visitors to easily compare information from 20 cities across this “hot spot” area, to see that they share many common issues – including scarce water resources because of falling rates of rainfall, extreme heat waves, and declining air quality - all of which are are expected to increase in the foreseeable future. From the data presented, viewers could also recognize that the pressure of increasingly extreme conditions will inevitably be most intensely felt within urban environments. The project also emphasized how sharing information and expertise between major regional institutions can contribute to solving the “common problems” in the living conditions of people in this region, and to finding solutions for the cities of the future. The EM/MENA region refers to the geographical expanse that encompasses the Eastern Mediterranean, Middle East and North Africa. This area not only possesses one of the fastest growing populations in the world, but also has been identified as the first region that will eventually become waterless in the future due to largely man-made climate change. Home to a combined population of some 500 million people, it has been identified as a climate change “hot spot”, as it represents a region already facing difficult conditions—and extreme predictions—for the future. The EM/MENA Region is characterized by strong environmental and climatic gradients, but with common bio-geographical characteristics. It has a high degree of urbanization. The region saw a 400% growth in urban structures during 1970 to 2010. It is expected that over the next 40 years there will be an additional 200% growth of larger cites. Today, this region is confronted with many interconnected challenges, such as increasingly over-exploited natural resources, rapid population growth and spreading urbanization and the multiple impacts of climate change. Commonalities and interactions between the increasing pressures on water supply, energy generation and food security have already caused unprecedented challenges for cities and communities of the region. The difficulties faced by people within their daily lives, both in urban centers and in rural areas, are often remarkably quite similar. Climate change and the effects of human intervention have also had an impact on environmental integrity and the health of regional ecosystems. From the wetlands of the Eastern Mediterranean to the Sahara Desert, the dangers of continued biodiversity loss and spreading desertification, often the result of degraded landscapes due to over-grazing or intensive farming, and the over- exploitation of water resources have had devastating impacts on ecological balances. Various locations across the EM/MENA region are also undergoing drastic political and societal transitions, armed conflict and forced migration, which have pushed societal and environmental systems to critical thresholds that can no longer buffer more external shocks, such as extreme drought or new waves of refugees. As a result of these developments, many communities of the region now face a combination of extraordinary challenges to the future welfare of their environments, livelihoods, human health and even their cultures. The need for adaptation strategies that are both appropriate and regionally applicable is paramount in order to be able to assure the future availability of water, food and energy to all peoples across this region. Near-surface winds over the EM/MENA region which mobilize dust - mainly from the Sahara Desert - are transported across the region east and northwards covering Egypt, Crete, Cyprus, and parts of Greece and Turkey. Source: The Cyprus Institute. The anticipated impacts of changing weather patterns and climatic conditions are expected to have particularly strong manifestations in urban settings, and to increase in severity over time; thus, climate change introduces exceptional demands on the cities of this region. This project intends to provide insights into current and future conditions by presenting an overview of the adaptive challenges of climate change in the urban context of the EM/MENA area. Each participating city will be represented by basic statistical and demographic data, which corresponds to these urban challenges. Additionally, comparative data from numerical climate models of the region—for example, temperature, rainfall and air quality—will help illustrate how the growing pressures of extreme conditions, such as hotter and drier summers, will be most intensely felt within urban centers. The larger purpose of this regional initiative is to set in motion an effort to connect the adaptation strategies being developed by major regional institutions with solutions for common problems. As most cities face increased urbanization and population movements toward urban centers, climate change adaptation must now be considered a necessary part of every city’s urban planning processes. This applies not only to impacts, but also to larger climate resilience strategies to reduce risk and vulnerability. City living conditions and human interaction with the built environment must be addressed. Factors that affect the realities of everyday life, such as enhanced urban warming and deteriorating air quality with resultant adverse health effects for city inhabitants, must be incorporated into effective mitigation and adaptation strategies for the projected extremes of the future. 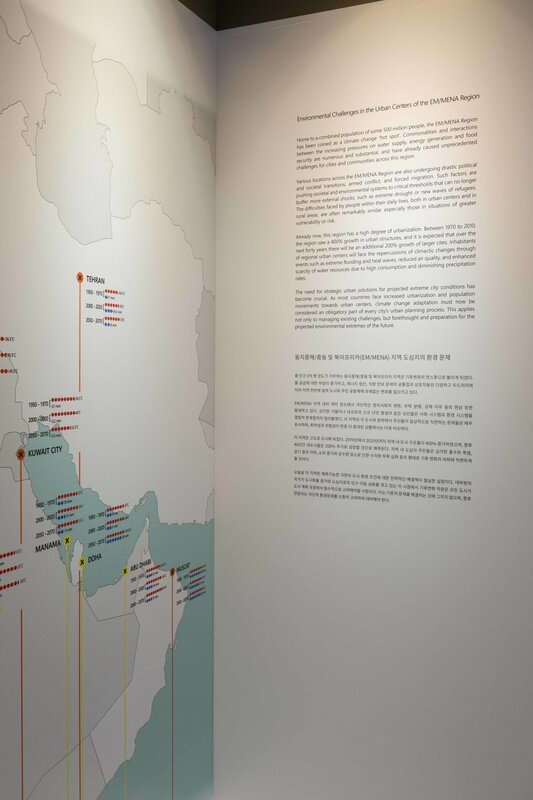 The long-term objective of this ongoing EM/MENA Project is to connect the knowledge of key regional institutions through an exchange not only between countries, but also with individuals and communities engaged in innovative methods and creative nature-based regenerative solutions “on the ground.” The reality is that this region and our contemporary way of life, just like other areas of the world, has already passed its tipping point and is producing negative effects and unwanted alterations to our urban and natural environments. The merging of these two fields of knowledge, the mainstreaming of transformative adaptation into all sectors of society, may assist in the creation of better co-developed and integrated solutions for the future, so that we might be able to ensure resilience for the region’s water sources, energy production and food security in the 21st century. Future Earth is a major international research platform with Central Hubs and Regional Centers across the globe. It aims to provide the knowledge and support to accelerate transformations to a sustainable world, including scientific projects that work across the natural and social sciences on critical global change and sustainability issues. The Future Earth MENA Regional Center (FEMRC) serves countries in the Eastern Mediterranean, the Middle East and North Africa, and enables initiatives that cater to the specific characteristics of the region and its pressing environmental and societal challenges. Its goal is to foster regionally-coordinated research and the implementation of strategies that develop sustainable lifestyles and economies. Installation images courtesy of Seung Kim, Georgios Artopoulos, Melina Nicolaides, Manfred Lange.